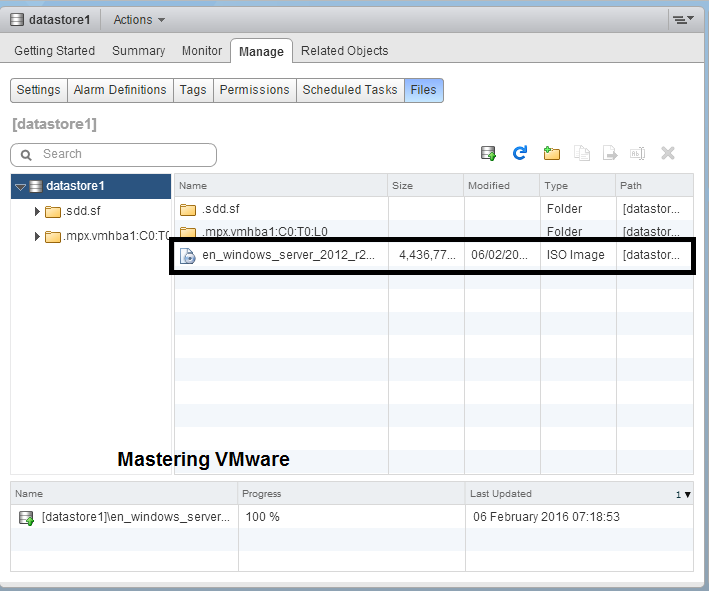 Home/vSphere Guides/How to Integrate AD with vCenter SSO ? 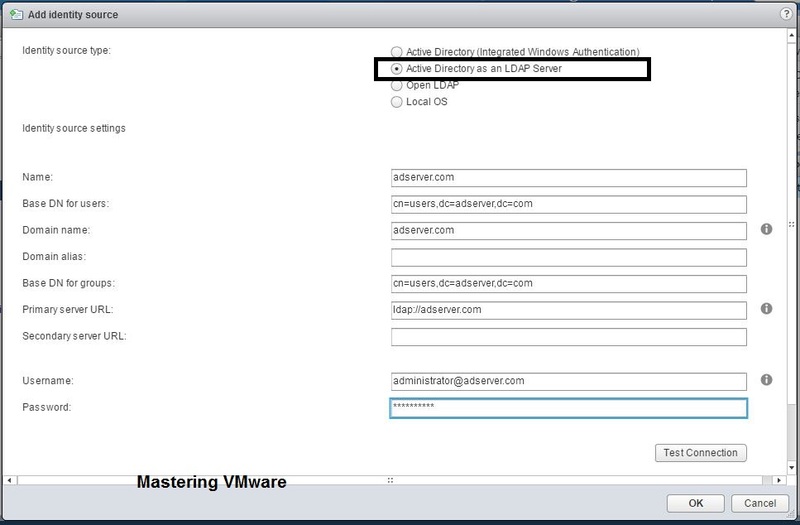 VMware provides the SSO(Single Sign-On) for authenticate single user to multiple VMware solutions.We have seen how to create users & groups in SSO. 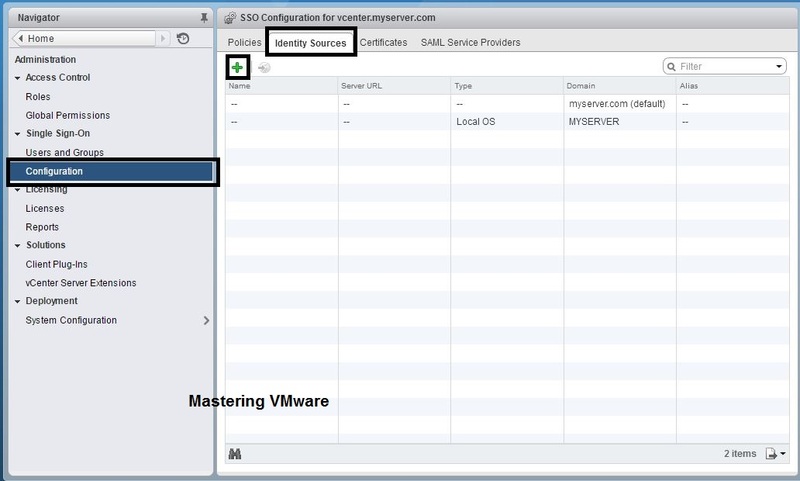 Now In this post i will show you how you can easily integrate your Active Directory with vCenter SSO so that you can use your AD user’s with vCenter SSO permissions & assigns roles on that. 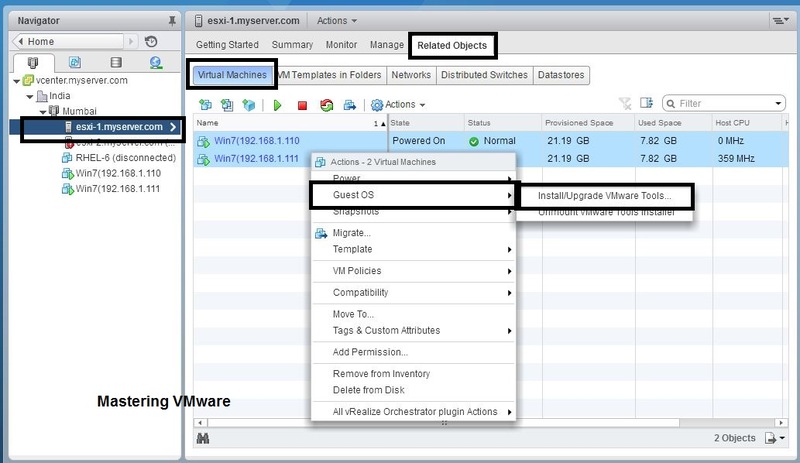 Logon to your vSphere Web Client using Administrator access. Choose the Administration from Navigator Menu. 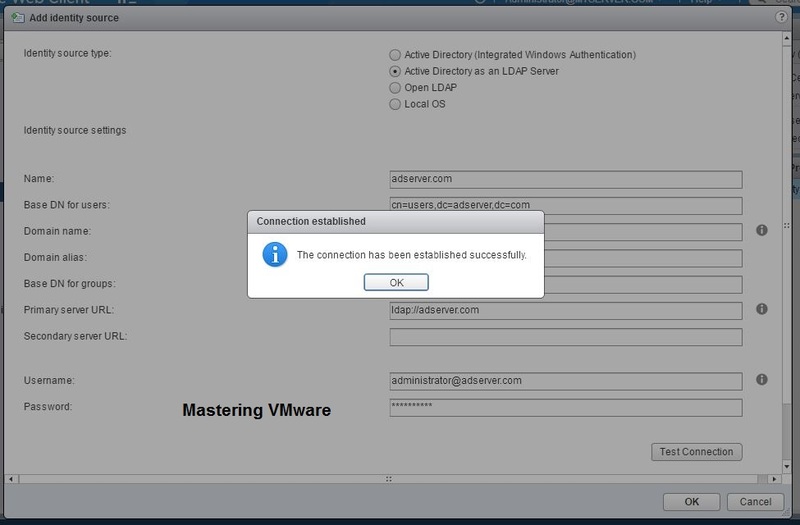 I am going with the Second option instead of Windows Authentication you can use it also if your vCenter is already in Domain. 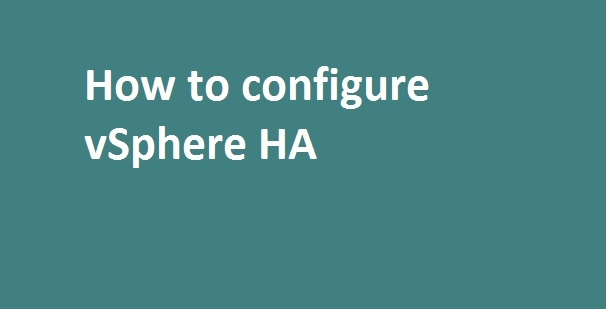 Choose the Identity Source type : Active Directory as an LDAP Server. 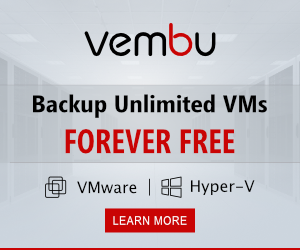 Now here you have to provide all the details related to Active Directory such as Name, Base DN Name, Domain Name, Primary Server URL etc. You will have to provide the Domain Admin credentials here. After Filling all the details click On Test Connection button at bottom. 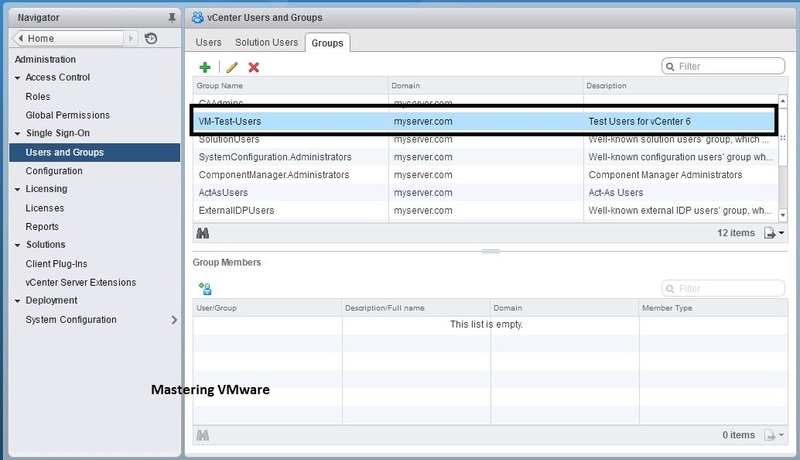 vCenter will Test the connectivity with AD based on details provided. If it successful you will get connection successful message click OK to close the dialog. 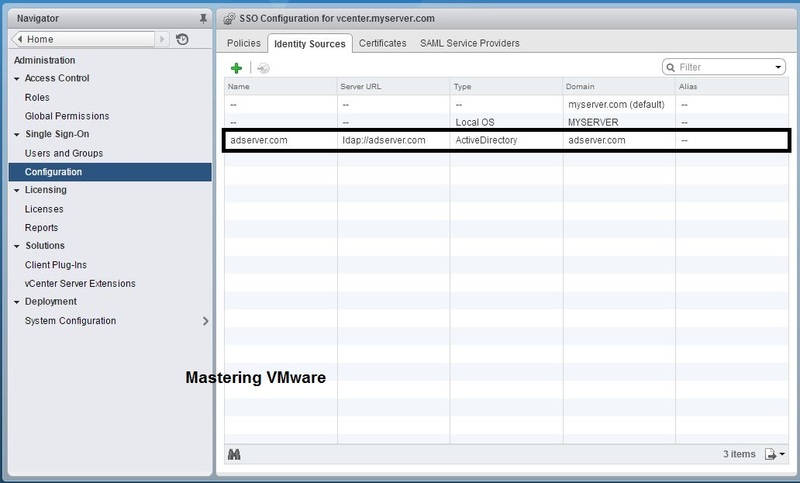 That’s it you have integrated your AD with vCenter SSO now you can see that your AD Server is listed. Now you can check in the Users Page also AD server is listed in Dropdown. When you will choose AD Server you can find the AD users there. 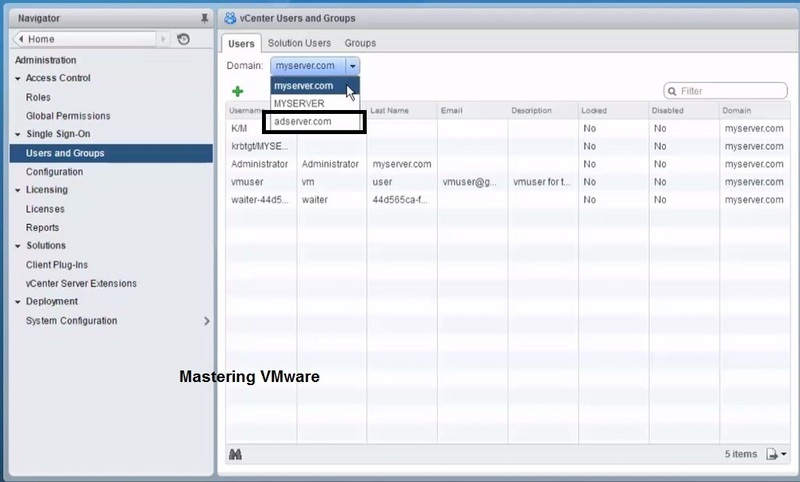 Now you can sync Active Directory user’s with vCenter Single Sign-On. 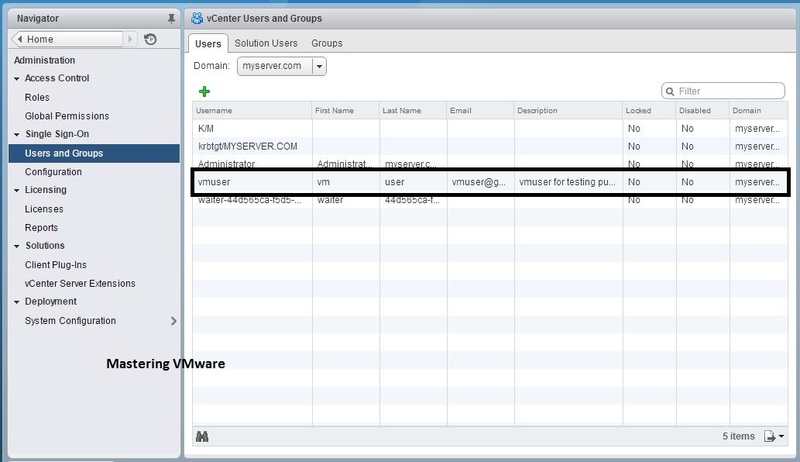 How to create vCenter Single Sign-On User ? 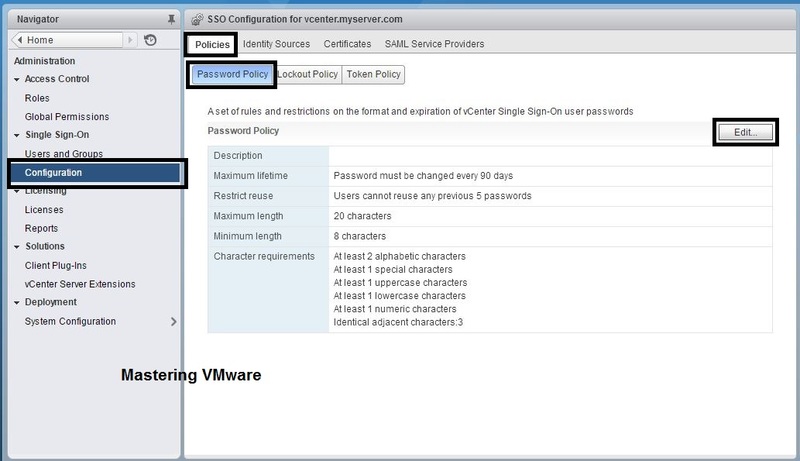 How to Configure Password & Lockout Policy in Single Sign-On ? 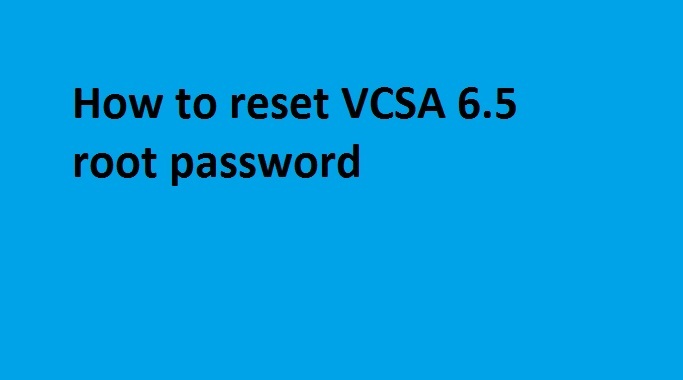 How to reset VCSA 6.5 root password ? 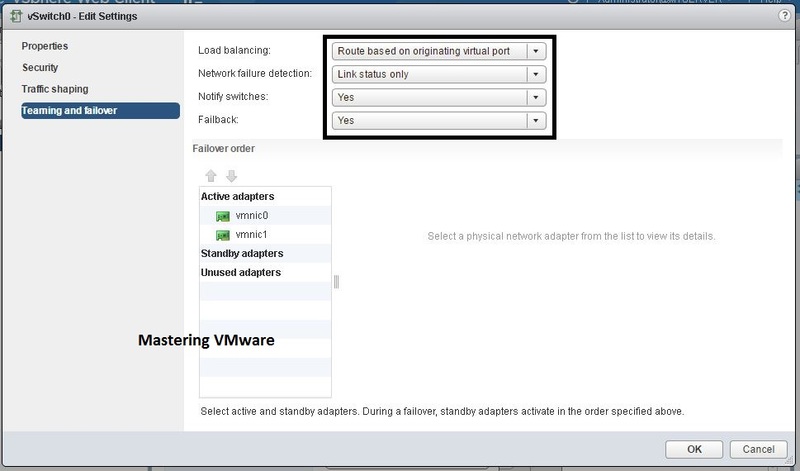 How to Configure NTP in ESXi ?